Who’s excited that Britain’s number one cosmetic and skin care company has finally landed in the states? I know I am! I managed to score a handful of samples of their Restore & Renew Beauty Serum in addition to a couple of other skin care products, so you know I’ll be delivering a report before long! How many of you have tried Boots? Was it in England, or not until they debuted the line here in the US? What are your overall thoughts? Can’t wait to hear, and from there, of course, I can’t wait to try it all! I hope you’re enjoying a safe and relaxing holiday weekend; until later then, my lovelies! It’s been a while, I know; thank you all for your patience while I was on vacation and catching up afterwards! As a reward, I want to tell you about the first styling product I’ve been willing to spend more than $5 on in *years*. I have plastic totes under my bathroom vanity that are full of various products, not the least represented of those being hair styling goos of various types. Spritzes, gels, mousses, pomades, you name it, we’ve got it. A very few get a second go-’round, and when they do, it’s almost always due to price rather than performance. No longer is that the case. My dear stylist, Chris at Anvil Salon in San Francisco, made a believer out of me when he introduced Bumble & bumble’s Styling Creme. After telling me that my hair is in fact not just wavy, but *curly*, and after allowing my laughter to serve as a challenge, he hit my hair with a dollop of this stuff and watched my smirk fade into sheepishness. The bottle reads, “Well, it’s not a mousse and it’s not a gel – some call it magic.” Count me among them. With about a quarter-sized amount of product worked through my ridiculously thick, shoulder-blade length hair, he turned stick straight into just shy of ringlets. 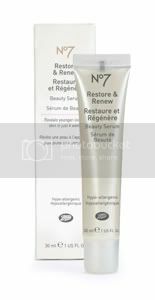 While other brands will promise not to leave your hair stiff, sticky, or immobile, this one delivers – I was able to run my fingers through without getting stuck, OR ruining the curl. 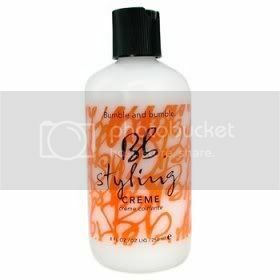 If you’ve not yet tried Bumble & bumble products, do yourself, and your hair, a favor – treat yourself to a cut and style at a salon that carries them, and ask the stylist to use this creme. Grab a bottle to take home, and discover how easy it is to finally reproduce salon styling at home with one product in a large enough bottle to last you at least until your next visit. For anyone who is interested in trying out Electric Cosmetics (see my review here), all eye shadows are on sale – 5 gram jars for $3 each as opposed to the normal $5 each. Dez is also offering a free shadow with each purchase. The sale is through this Sunday, August 5th, so definitely check it out if you’re in need of some new shadows! My favorite EC shadow colors are Plue, Soft Red, and Creek. Have fun shopping!!! I’m mid-test, but I’ve got a good feeling about this one; stay tuned for tomorrow’s full report on L’Oreal’s new Infallible Lip color! I hope you’re all having a lovely week!